Plus… Win a Show and Accommodation Prize Pack valued at over $700! and 5 Skin Care Gift Packs! 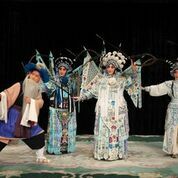 FOR ONE SHOW ONLY – On Sunday 6 November The China National Peking Opera Company will give Australian audiences a rare opportunity to experience the fine art of Peking Opera when they perform the rarely seen masterpiece WARRIOR WOMEN OF YANG at Sydney’s State Theatre. WARRIOR WOMEN OF YANG blends music, mime, martial arts, song and spectacle and provides an exceptional opportunity to take a cultural adventure into Chinese traditional artistic heritage and experience a visual feast presented on a three-dimensional stage design. The show is a story of grief, courage, patriotism and family loyalty. 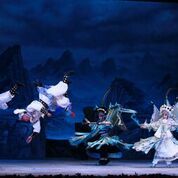 A cast of over 50 headed by China’s top opera stars Li Shengsu and Yu Kuizhi will mesmerize whilst terrifying you with amazing stage combat and death-defying acrobatics performed by professional martial arts performers whose talents all combine to present a high energy, adrenalin packed show. AWESOME COMPETITION FOR DANCELIFE READERS! We also have 5 additional ROSANNA skin care packs (including whitening and anti-aging products) to win worth $180 each! TO WIN please send in your name and phone number to win@dancelife.com.au under the title of ‘Warrior Women of Yang Prize’ by October 25th. 6 Prizes drawn at random.